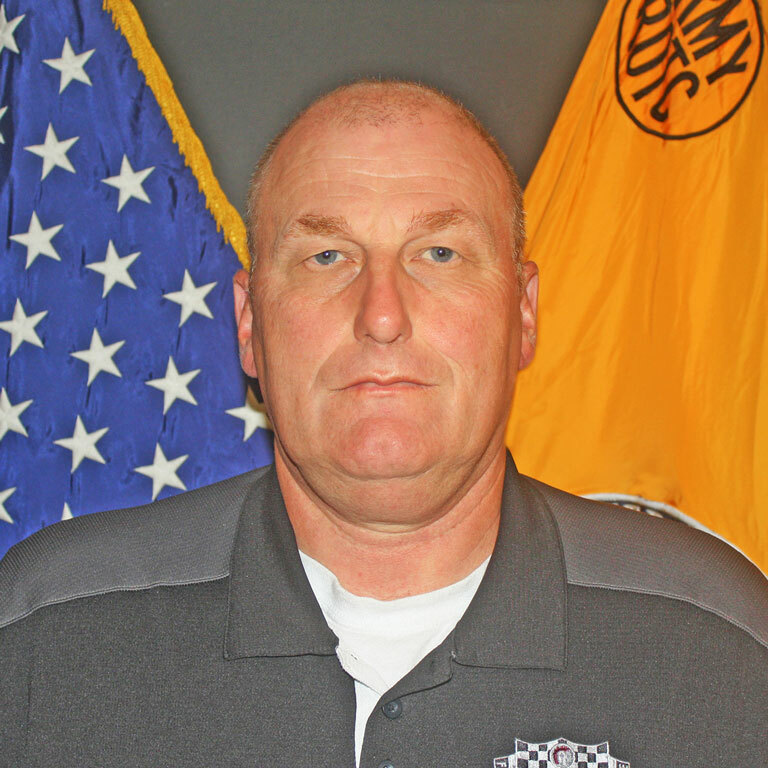 Master Sergeant (Retired) Jerry Barker spent 23 years in the active Army before joining the IUPUI Army ROTC Team in August 2005. Mr. Barker enlisted into the Army in November 1982 as an Infantryman and held various assignments. During his Army career, he spent most of his time in the United States Army Recruiting Command. Mr. Barker’s first assignment with ROTC was a military science instructor, where he taught the freshman level class. His civilian education includes B.A., Human Resource Management, Oakland City University; M.S., Criminal Justice, Columbia Southern University; and, M.B.A., Indiana Wesleyan University. Awards and decorations include three Meritorious Service Medals, Expert Infantry Badge, Parachutist Badge, and the U.S Army Gold Recruiter Badge. Jerry also serves on the Board of the Indiana Chapter of the Association of the United States Army.